You’re probably familiar with Cave Story. You may have played it before, possibly a free version on PC. This timeless, stellar game from Pixel has been released on many platforms. It just received it’s second release on the Nintendo 3DS when Cave Story hit the eShop in all of it’s 8-bit 2D glory. But do you remember Cave Story 3D? The game that was suppose to make the original even better with overhauled graphics and exciting new content? I don’t blame if you missed it because it got lost in the shuffle during the holiday shopping season last year. Games like Super Mario 3D Land, Mario Kart 7 and Sonic Generations were getting the attention of 3DS gamers so you may have missed this 3D remake of the classic game. You could opt for the $10 eShop version but don’t scoff at Cave Story 3D. It’s quite possibly the best version of the game that you can buy. I know Cave Story purists will detest the absence of the original 2D graphics but as a whole Cave Story 3D is still the same great game just with 3D environments, characters and some new music. 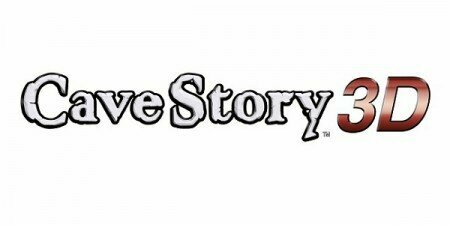 I won’t bore you with the details about Cave Story’s mechanics or story. You probably already know those if you’re reading this review. 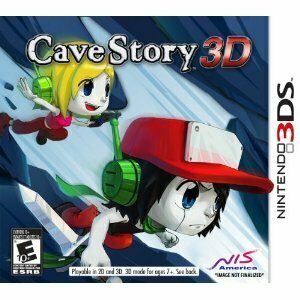 Cave Story 3D (obviously) retains the same amazing, mysterious story and is a great spin on the classic Metroid-vania formula. Boss fights are difficult but engaging, and the multiple twists in the plot keep you guessing. The real struggle with Cave Story 3D is whether it is worth the extra money over the eShop version. You could opt for a freeware version of the game but I personally would prefer opting to give the Pixel and those publishing it some money as a thank you for making/publishing such a great game. There’s nothing wrong with opting for the free version, but for this review I’m going to focus on balancing the differences between the 2D eShop and this 3D version. The eShop version is Cave Story 3D’s main competition and ultimately it’s biggest flaw. Visuals are entirely overhauled and look much better. There is a unique charm to the original game’s graphics and I’m sure some people will stay loyal to that. I don’t blame you, the original Cave Story worked it’s 8-bit art style very well. 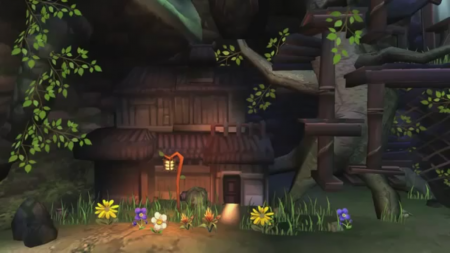 But the 3D environments in Cave Story 3D are truly impressive. It feels great to roam around this expansive game world looking for upgrades, and the art direction shines through resulting in a game that charms you with it’s looks. I’d hate to see the 3D characters and locations get swept under the rug by the gaming community just because the game is a hard sell at full retail price. 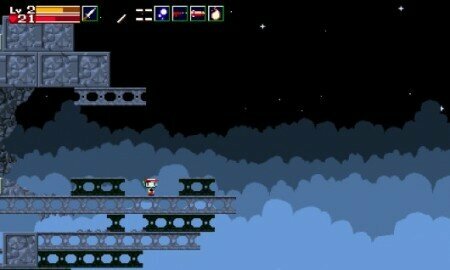 The overhauled graphics are one of Cave Story 3D’s strong points. Therein lies Cave Story 3D’s biggest problem. Content and price. It’s not an easy sell a year after release considering the original game can be purchased from the eShop for $10 and includes more content than the retail package. Cave Story 3D has a few new levels, and remixed music but other than a Time Attack mode it doesn’t have much in the way of new content. It’s really going to come down to whether you want the improved, superior 3D graphics or the original art style. Curly Story mode is a welcome, albeit small addition to the game. For me I personally prefer having it both ways so that’s why I’ve played through both the 2D and 3D versions of the game. Die-hard fans will likely play through this amazing adventure (which lasts around 10 hours) multiple times across multiple platforms, 2D or 3D versions aside. But for the gamer on a budget I recommend the $10 eShop version unless you can find Cave Story 3D closer to that price at stores. Cave Story is a game you must play before you die. Cave Story 3D is the best way (graphically) to experience this classic, though purists will choose to play the classic version as well.